Welcome to Soarprenuers Uninterrupted with Shevelle McPherson. Shevelle certainly knows how to Soar, Uninterrupted. She went from teenage mom to a recognized Top 100 National Trial Lawyer, Award Winning International Speaker, Number One Bestselling Author and Successful Business Strategist. She will share her knowledge, experience and wisdom, while heating up the airwaves with esteemed co- host guest, to educate and empower you with techniques and information you can use in your business to ... See More thrive, not just survive. Topics range from: turning obstacles into opportunities, business success strategies, profit protection methods, client attraction tools and legal nuggets for entrepreneurs. 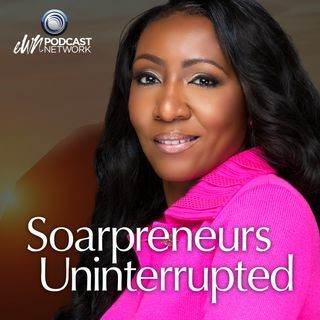 Get ready…Get set….it’s time to soar in your business without interruption!